The inventory of Mapleton Utah lots fluctuates over the years here. When the Mapleton Utah Real Estate market is hot the price of developed and undeveloped lots rises. When the Mapleton Utah Real Estate market is cold the price of developed and undeveloped lots drop. See the sold listing below that shows a Mapleton Fields lot that sold as a short sale in 2009 for a steal of a deal. This lot would sell for about $80k more just five years later. Be careful not to over pay for Mapleton land. The inventory seems to be larger when the price is rising. This is because more developers are developing. In 2007-2011 the Mapleton Utah lot market was a bust. From 2012-2014 the market has been hot. 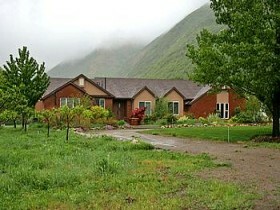 Nobody wanted to buy a Mapleton Utah lot and the prices were down. Since that time the market is hot, prices have risen and inventories are up. Paul Teasdale has been selling land in Mapleton Utah for over 20 years and is very familiar with the various neighborhoods, water and developments. Paul currently resides in Mapleton and is actively engaged in land sales. In fact, he has probably sold more Mapleton Utah Lots than any other Realtor in Utah County over the past 20 years. If you need help buying or selling land you should talk to Paul Teasdale.